Live showcase at Brooklyn Based's Party Crashers -- 3/18/18! Added on January 24, 2018 by Melanie Flannery. We are psyched to be playing Brooklyn Based's perennially super-fun never-cheezy wedding & private event band showcase at the Bell House! This year it'll be on Sunday, March 18th and our set will be at 6:40! Sets are only 15 minutes so don't be tardy to the party! 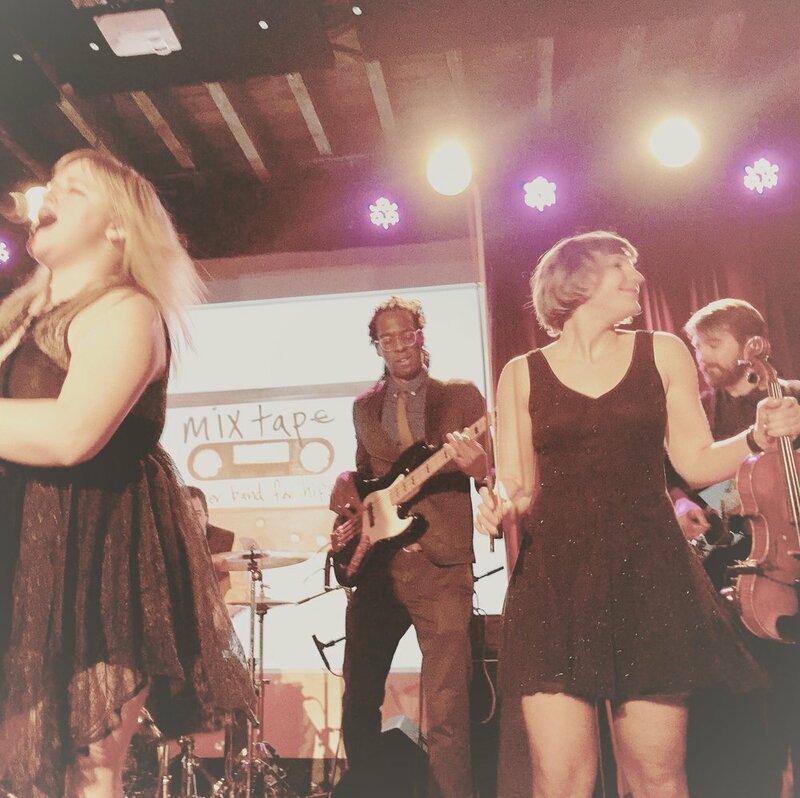 Our mmm...bands sister bands, Moxie Jazz and moonshine bluegrass, will be playing at Brooklyn Based's Wedding Crashers Fair on Sunday, March 11th in the afternoon. Swing by and check them out, and go visit the MIXTAPE table as well! MIXTAPE live at A Night of Nasty on 5/24! Added on May 4, 2017 by Melanie Flannery. Unique Programming including Lady Parts Justice's "Buzz Off Lucille, Planned Parenthood of New York, BATALA New York, AND MORE! 21+ only ticketed event, and early bird tickets are only $50. 100% of proceeds go to Planned Parenthood of New York.